The Only Gift I Want This Season … Is Your Thoughts! 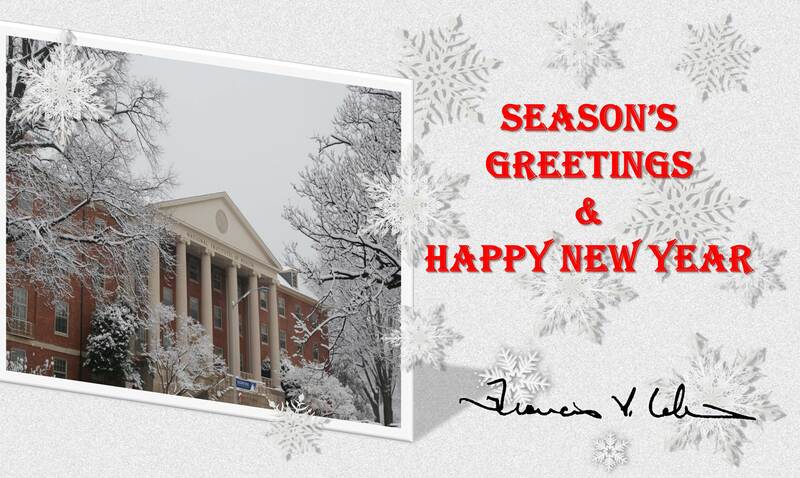 From my “house” at NIH to yours, I’d like to wish each of you and your loved ones a wonderful holiday season and a happy, healthful New Year. Throughout the past year, I hope that you’ve enjoyed the entries in this blog, sharing just a few of the many breakthroughs in biomedical research and introducing you to some of the young scientists who fill me with such hope for the future. As we prepare to turn the NIH Director’s Blog calendar to 2016, I look forward to bringing you even more exciting discoveries that show the power of science to build a healthier tomorrow. But I need your help! In this season of giving, I’d like to ask each of you for a little something: your thoughts on how to make what I think is a good blog even better. So, please click on the “gift” below to take part in a brief, anonymous survey that should take no more than a couple of minutes. Thanks so much for your time!